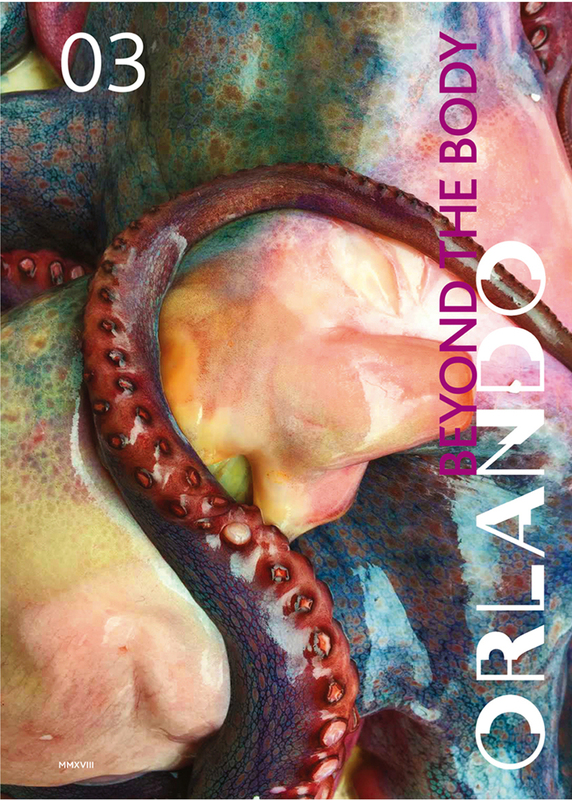 The theme for Orlando Issue 03 is ‘beyond the body’. How do we transform ourselves, lose ourselves, or how are we kept back, limited, or marginalised: both because of and in spite of our bodies? How do we endure, how do we escape? The magazine proposes a line of questioning about limits and possibilities, of restriction and release, enquiring through what means—or, indeed, by any means necessary—we might be able to move beyond our bodies. There are no certain answers, no concrete resolutions. By expanding on ideas of corporeality and embodiment, the writers, artists, and poets in the issue explore the divergent and manifold modes we might employ in order to come outside of ourselves, to become not bodies, but something else. Orlando 03 is edited by Philomena Epps, with contributions from Olivia Aherne, Liz Barr, Aimee Bea Ballinger, Gabriella Beckhurst, Jennifer Boyd, Octavia Bright, Leah Clements, Michel Delsol, Flora Dunster, Bryony Gillard, Celia Graham-Dixon, Georgia Haire, Frances Hatherley, Rosie Haward, Johanna Hedva, Lynn Hershman Leeson, Sophie Hoyle, Rebecca Jagoe, Rosa Johan Uddoh, Josh Leon, Hannah Levene, Alix Marie, Sadé Mica, Hatty Nestor, Tausif Noor, Florence Peake, Amy Pettifer, Ari Potter, Nisha Ramayya, Eve Stainton, Ella Sweeney, Josie Rae Turnbull, and Belinda Zhawi, and also featuring the work of Amy Bell, Deborah Bright, Marlene Dumas, Del LaGrace Volcano, Agnes Richter, Bunny Rogers, Vittorio Scarpati, Jo Spence, John Stezaker, and David Wojnarowicz.